Every man cave needs a home bar, and every home bar needs bar stools. But when it comes to shopping for stools for your man cave, where do you start? Here’s a quick guide to help you figure out which stools are best. The most comfortable bar stools have a padded seat and padded back. Some stools like the #2010 stool or the #2545 stool offer padded arms, too! 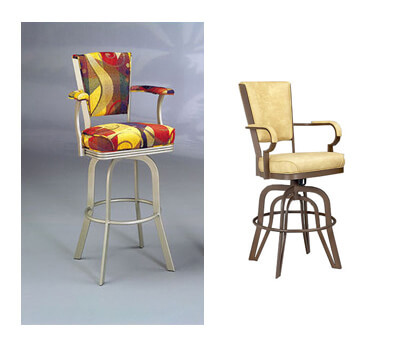 Swivel bar stools for taking in all the action. Most bar stools have swivel seats, so it’s easy to turn from the TV to the bar to the other TV. A ring footrest offers support no matter which direction you’re facing. 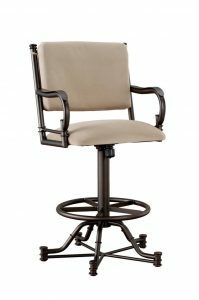 Stools with memory-return swivels have a spring mechanism that automatically brings the seat back to center when you stand up. These seats might not be the best stool for the man cave because you have to hold the spring-loaded seat in place when you swivel. Shop our swivel stools here. Check the seat width of the barstools you like. Width varies across different types of stools, and 19 inches or more offers a wide, comfortable seat for big people. The Burnet Tilt Swivel Stool by Callee offers a 20-inch wide seat, plus arms and a padded back. It might be worthwhile to pick up a stool or two without arms because seats with arms can be tight for large people. From kids to professional basketball players, everybody gets a perfectly comfortable seat with adjustable height stools. The adjustable center post of these stools can support a tremendous amount of weight, so they’re great for anyone you invite over. Shop our adjustable height stools here. 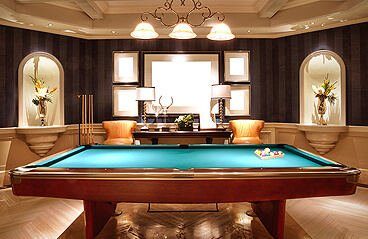 Does your man cave open onto a patio or deck? 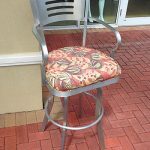 If so, think about getting some indoor/outdoor stools. This outdoor stool goes great with wood-paneled bars or interiors, and will hold up for years of outdoor use. Any questions? Just let us know. You can also send us a picture of your (or your husband’s!) man cave, and we’ll offer suggestions of which stools would be best.